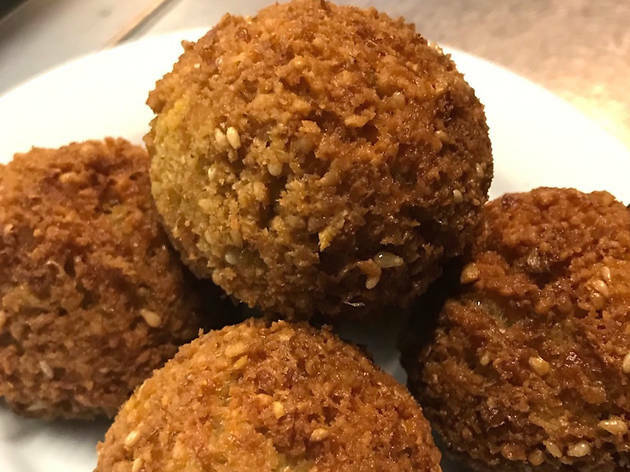 Plant eater or not, the thrill of landing a plate of crunchy, just-fried falafel is the stuff of every food nerd’s dreams. These deep-fried balls of goodness can look and taste slightly different depending on which country they come from. 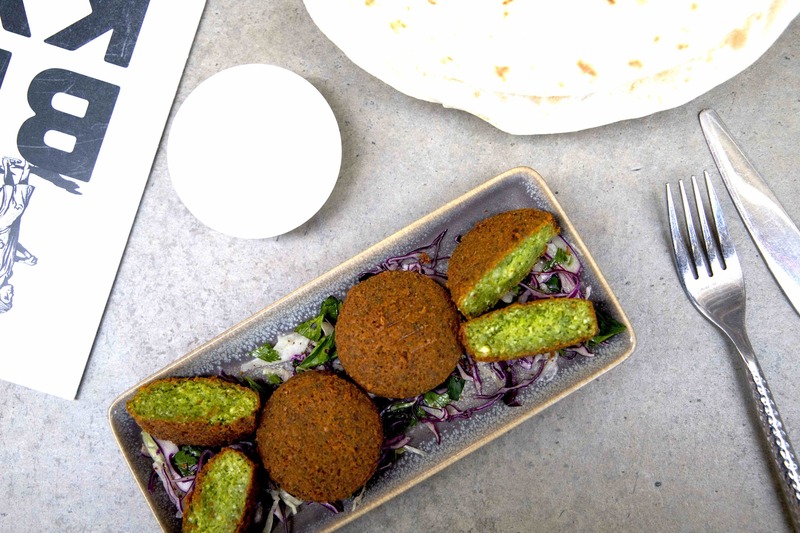 Syrian and Lebanese falafel tend to have a chickpea centre, while Egyptian ones are usually made of ground fava. 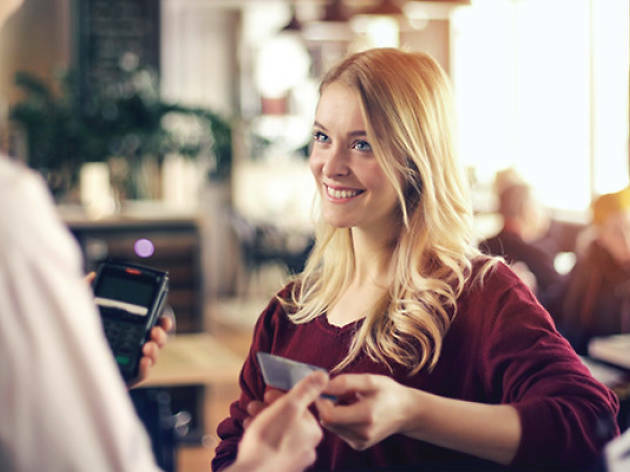 Use our cheat sheet to track down your favourite version in Sydney, and pay in confidence with American Express at all of these venues. 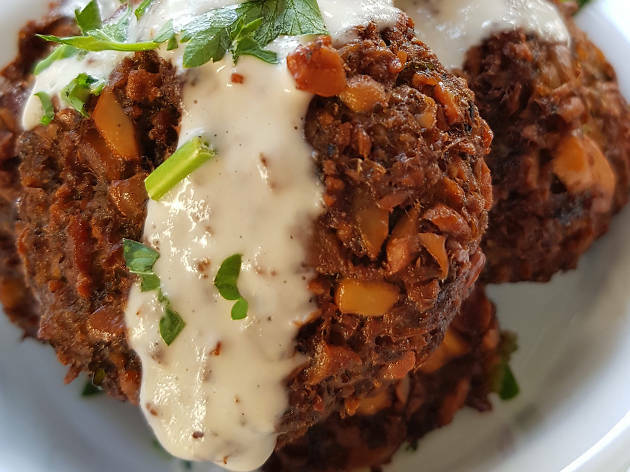 Break out of your weekend brunch rut with Kepos Street Kitchen’s popular Falafel for Breakfast. 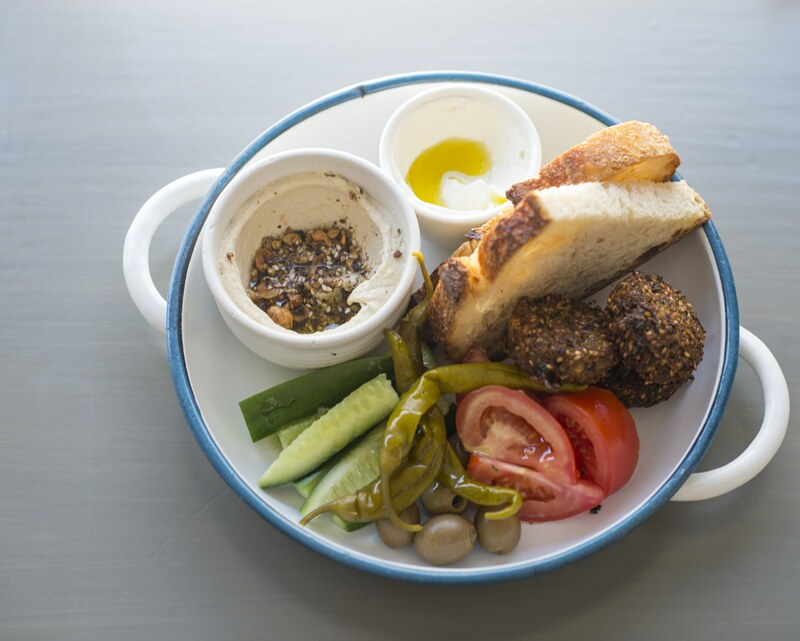 The Redfern modern Israeli eatery serves Tel-Aviv-style falafel with housemade hummus, labne, tomatoes, olives and pickled chillies. Chef and owner Michael Rantissi (ex-Bathers’ Pavilion) also does a lunch version with chips, or get a whole plate of the bad boys for $13, served with a herby green tahini. At Darlinghurst’s Almond Bar, chef Sharon Salloum makes her falafel with large, 10mm chickpeas. 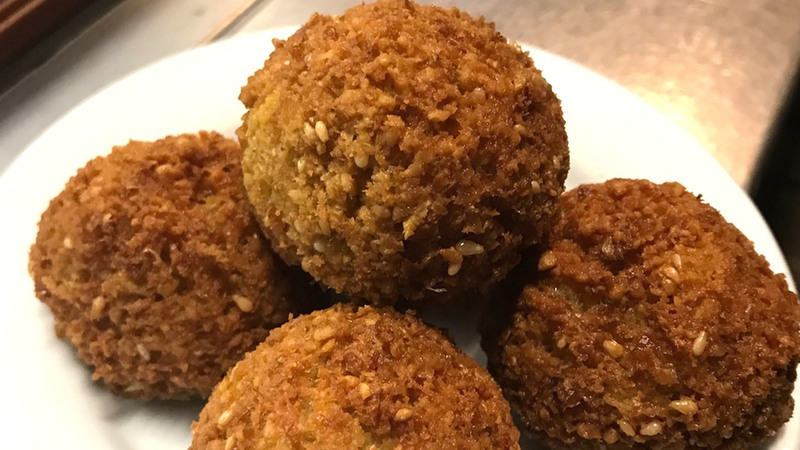 These Ord River gems have a high starch content, so no flour or other binders are needed to hold the mixture together while it’s being deep fried – making the falafels extra fluffy. Salloum uses a traditional Syrian recipe that features her mother’s spice blend and fresh herbs sourced from her parents’ and her relatives’ gardens. In other words, falafel obsessives are in good hands here. 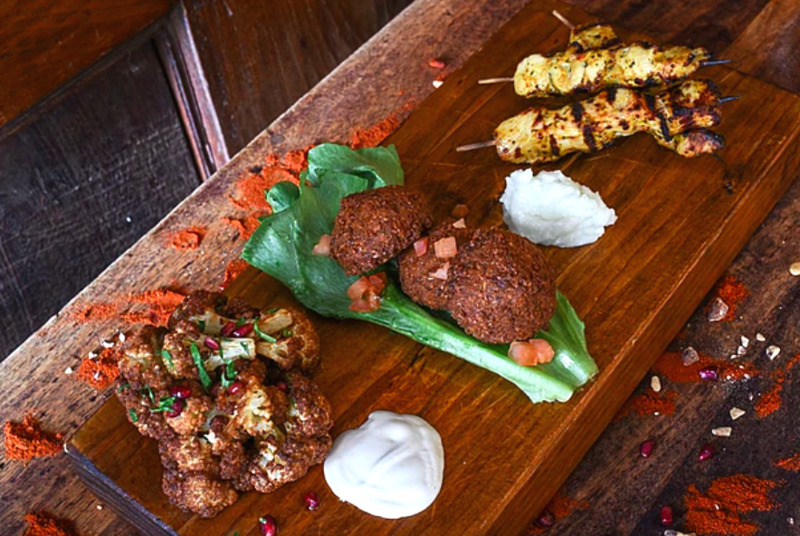 North Bondi locals have been turning to Shuk to sate their falafel cravings ever since the Israeli eatery opened its doors a few years back. 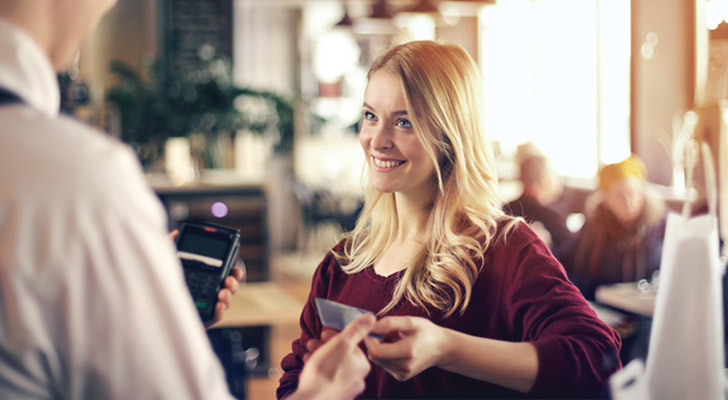 This triple-threat corner venue (café, bakery and deli) is run by friends Erez Beker, Yoni Kalfus and Ariel Hefer. Their falafel are made fresh daily with Ethiopian teff grain – giving the resulting fried domes a slightly darker crust and deeper flavour. 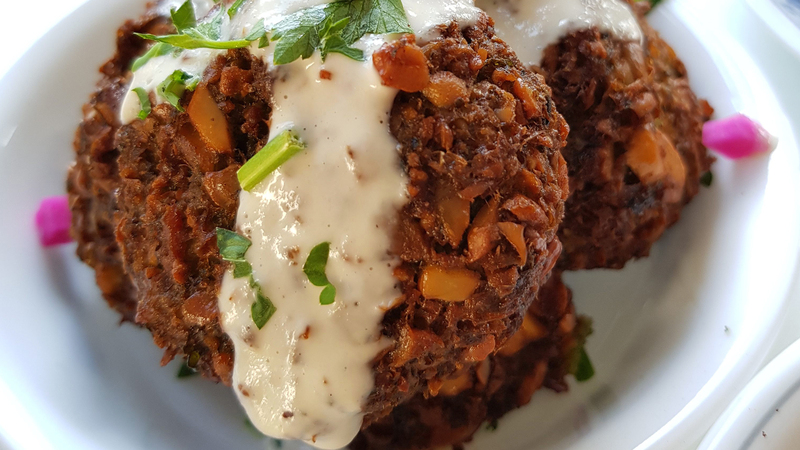 Order falafel on their own or look out for weekly specials. You’ll spot them in lettuce cups, Israeli salads or sabich bowls heaped with smoked eggplant, pickled carrots, tahini, slow- cooked egg and herbs. 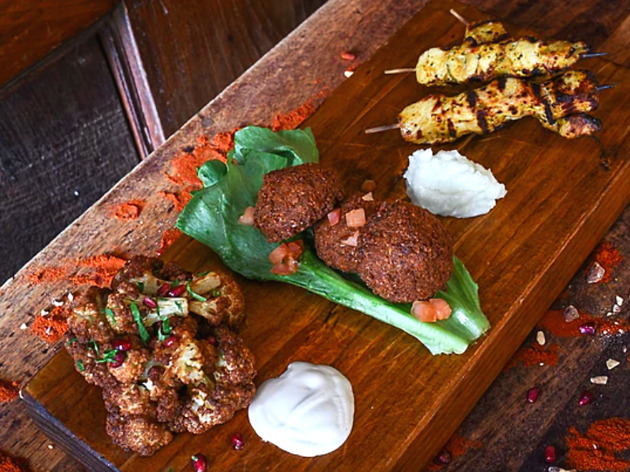 Mention Lebanese food in Surry Hills and chances are Fatima’s will be on everyone’s lips. This late-night institution has been around for more than 30 years and is still family operated today. Owner Abraham Zailaa remembers eating the same handmade falafel growing up. The spices used in Fatima’s recipe stays a family secret – but Zailaa reveals the addition of minced garlic in the chickpea patties is what makes their version so moreish. 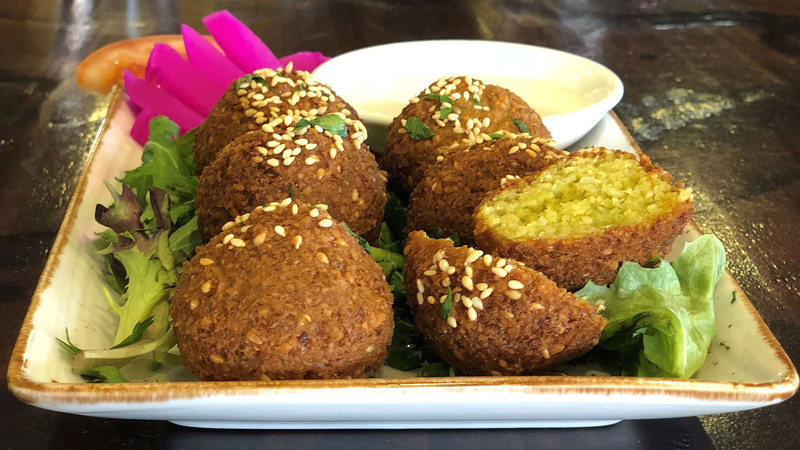 Get them by the half dozen for $11 or splash out on a veggo mixed plate that comes with housemade hummus, baba ganoush, tabouli and vine leaves. Getting non-food-court-related falafel is possible in the CBD. 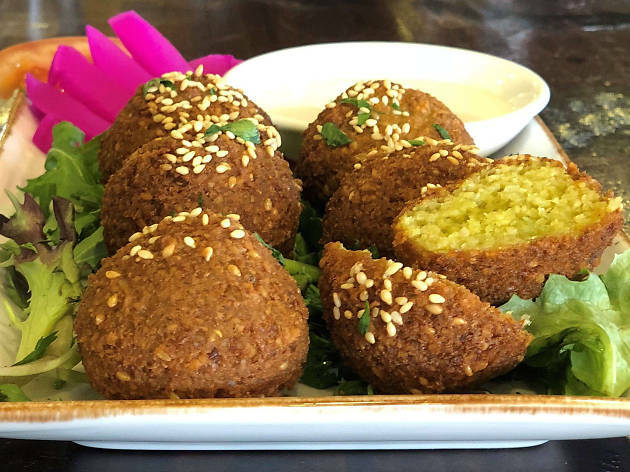 At Cubby’s Kitchen, restaurateur Matt Yazbek has been serving his mother’s Lebanese recipes at the restaurant with a modern twist. 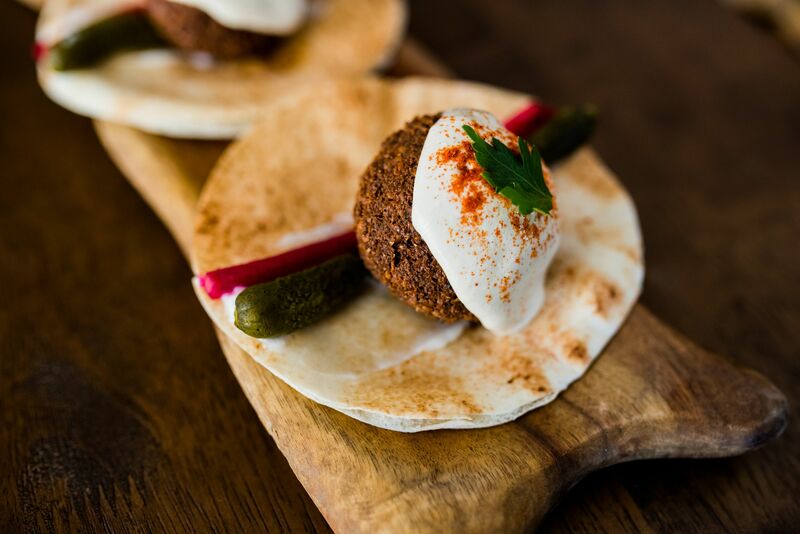 Try the falafel kebabs – two delicate chickpea patties served on Lebanese bread with crunchy pickled turnip, baby cucumbers, tarator, paprika and parsley. It’s a perfect veggo lunch or an after-work snack that goes down a treat with a Vodka Pomegranate Mojito. With a huge inner-city following, Emma’s Snack Bar is the kind of smart casual Lebanese haunt you dream of when you’re slightly hungover and craving a pick-me-up meal. 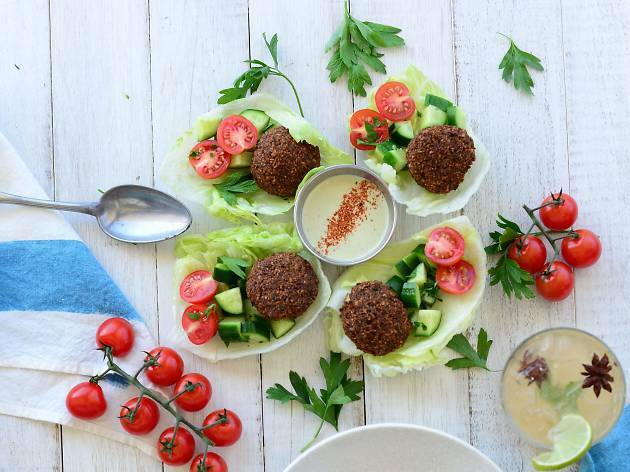 Get the falafel plate made with spicy beans and doused in tahini sauce. Or grab an epic takeaway falafel dinner box with fatoush salad, hummus, garlic potatoes and bread for a very reasonable $17. Pro-tip: don’t leave without the house special kanefe — a sweet semolina and mozzarella pudding soaked in orange blossom syrup. Another Surry Hills institution, Abdul’s Restaurant started as a falafel sandwich joint in 1968 and has been serving locals ever since – 50 years! 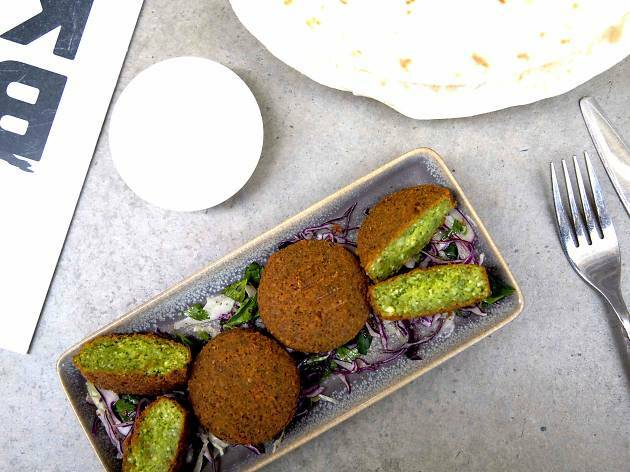 Their Lebanese falafel are made of ground chickpeas that have been soaked overnight, along with minced garlic, fresh coriander leaves and spices like cumin and ground coriander. Get them own their own or in a mixed plate with hummus, tabouli, smoky baba ganoush, rice and mixed veg. 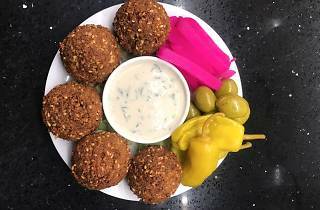 While most of the Middle Eastern falafel recipes call for ground chickpeas, Egyptian falafel are made with a blend of fava beans and green herbs. The resulting patties, according to Tramsheds’ Bekya, are lighter and retain more moisture in the deep-fry process. Pair the grassy falafel with a fattoush salad with a tart pomegranate dressing, or double down on the deep fried factor with some Ladies’ Fingers filled with halloumi cheese. 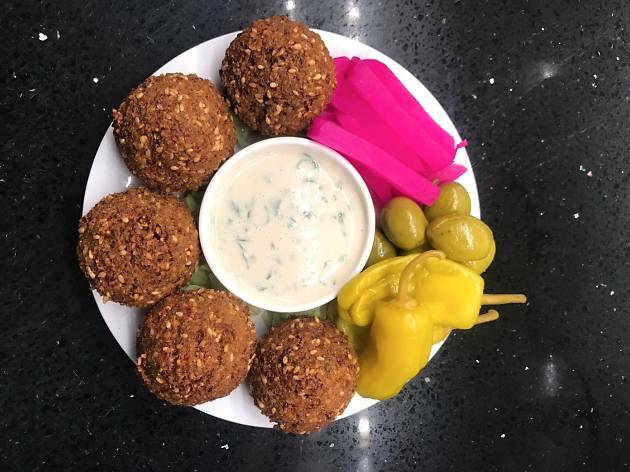 Who says you can’t get good falafel in Ryde? Cedrus Lebanese Restaurant sells up to 500 plates of their chickpea-and-fava version a week. Every day, a fresh batch of the mixed-bean patties is made from scratch. It’s the most popular hot mezza in the restaurant. Come with a big group to work your way through other house specialties like the sizzling lamb hummus and deep-fried, meaty parcels of sambousik. Stuck at work drinks on a Thursday night? 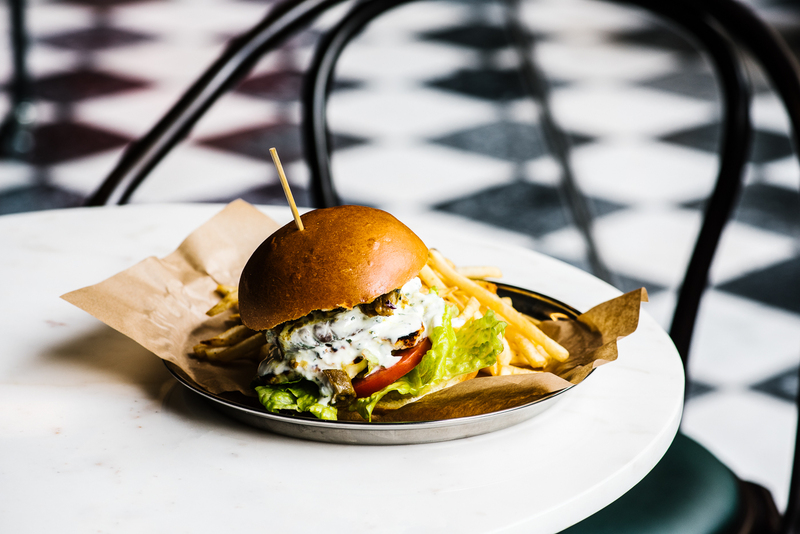 At the newly revamped Verandah Bar, chef Chef Brad Sloane makes sure you’re fed well with a hearty ‘faloumi burger’. 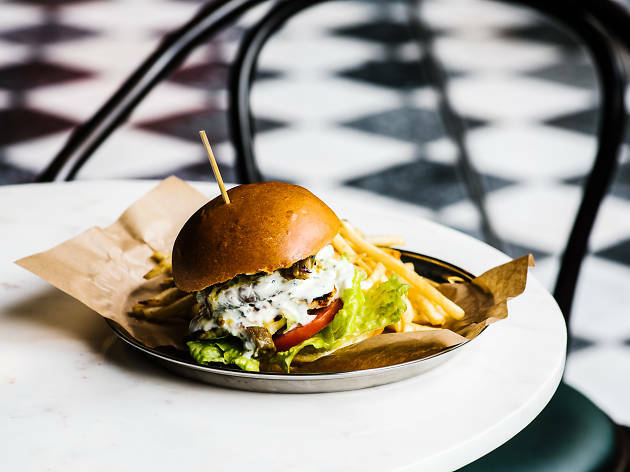 Packed inside a Sonoma milk bun is a housemade chickpea falafel patty, chargrilled slices of halloumi, a smoky eggplant chutney and fresh lettuce dressed in chipotle aioli. Yes, it’s a pub-style spin-off. 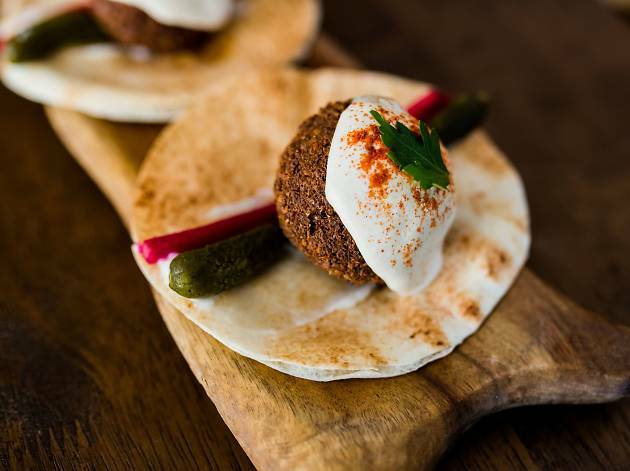 But who says falafel can’t be enjoyed in the company of house wine and craft beers?